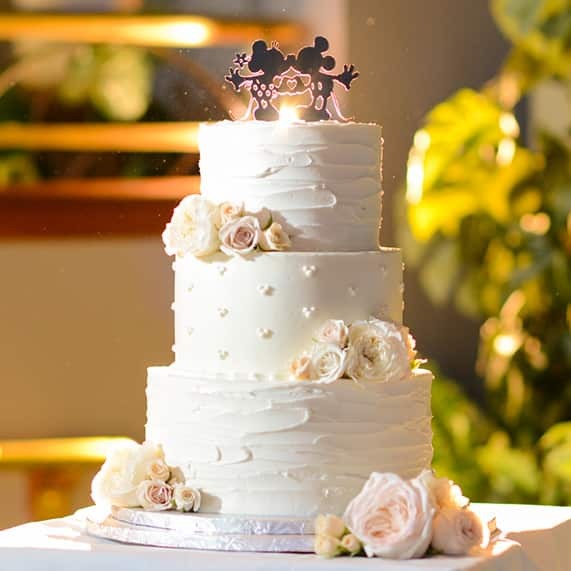 One of my favorite things about Disney's Fairy Tale Weddings & Honeymoons is that our chefs are able to take a traditional cake and add a subtle touch of Disney to it. 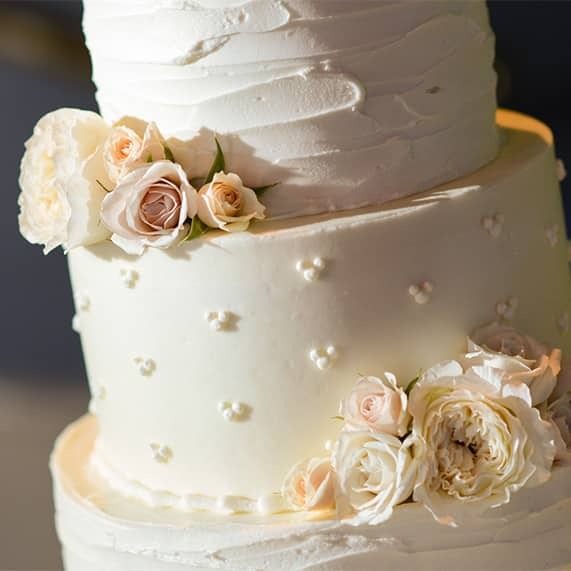 Amid the classic sophistication of this three-tier classic white wedding cake you may be able to spot just a few Hidden Mickeys. 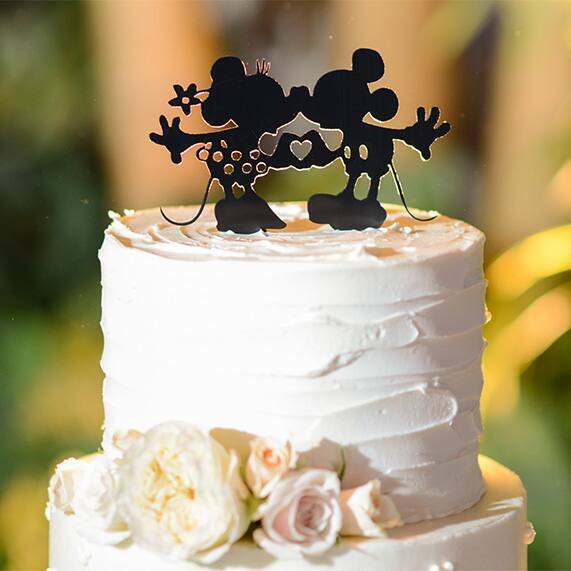 And thanks to a famous duo, this cake became a complete Disney dream. Kisses to the happy couple!